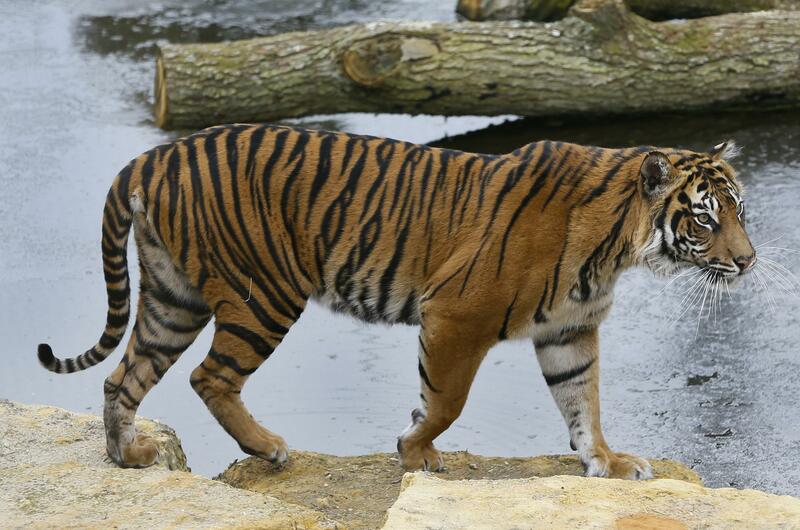 Fri., Feb. 8, 2019, 11:45 a.m.
LONDON – For ten days, the London Zoo kept its newly arrived male Sumatran tiger Asim in a separate enclosure from Melati, the female tiger who was supposed to become his mate. Zoologists gave them time to get used to each other’s presence and smells, and waited for what they felt would be the right time to let them get together. On Friday, they put the two tigers into the same enclosure – and Asim killed Melati as shocked handlers tried in vain to intervene. Published: Feb. 8, 2019, 11:45 a.m.